Twinko 1st mini artists signed album. 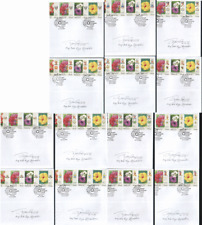 I have a lot of 157 signed index cards available. Bill Torrey. Includes signatures of Wayne Embry. Wayne Connelly. Warren Cromartie. Vince Taylor. Uta Pippig. It is a picture of Mr. Lagerfeld as it is on the sign. The sheets are printed in red and black on one side only, with one exception, and folded variously to form loose, unbound gatherings of two to four pages each. Small oblong 4to (21.6 cm), 10 pp., 3 illustrations, original wrappers printed in red. J. Paul Getty signature! Security-First National Bank of Los Angeles. Very bold signature. Check #1710. Color: Pink (not as bright as in the picture). Wegner, Hans J. 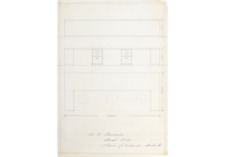 (1914–2007)Original Furniture Design. Wegner's high quality and thoughtful work, along with a concerted effort from several of his manufacturers, contributed to the international popularity of mid-century Danish design. VECCHIO MANOSCRITTO/SCRAPBOOK DEL 1888. SPLENDIDO, AUTENTICO E RARO QUADERNO-DIARIO. LE PAGINE TOTALI SONO 56, QUASI INTERAMENTE SCRITTE O CON IMMAGINI,DISEGNI E POESIE. LA RILEGATURA E' IN CARTONATO RIGIDO. MISURE: Cm. 20,0 X 13,0 PAGINE CON NORMALI SEGNI D'USO DEL PASSATO. LA CERNIERA INTERNA E' IN PARTE APERTA E IN ALCUNI CASI LE DUE PAGINE ADIACENTI SONO STATE UNITE TRAMITE UNA STRISCIA DI CARTA VELINA. CHI MI CONOSCE SA CHE LE MIE DESCRIZIONI SONO SEMPRE STATE,E SONO MOLTO ACCURATE. NON AMO RICEVERE E NEPPURE FAR TROVARE BRUTTE SORPRESE. WHO KNOWS ME CAN BE AWARE THAT MY DESCRIPTIONS ARE ALWAYS BEING PRECISE,AND I MAKE THEM REALLY CAREFULLY. I DON'T LIKE TO RECEIVE AND EITHER TO GIVE BAD SURPRISES. VECCHIO MANOSCRITTO/SCRAPBOOK DEL 1882. DIARIO COMPLETO. SPLENDIDO, AUTENTICO E RARO QUADERNO-DIARIO OTTOCENTESCO. CONDIZIONI: PAGINE CON NORMALI SEGNI D'USO DEL PASSATO. (1886–1983)Signed Brochure of his Work. The brochure folds out to display many of his photographs, as well as a portrait of the photographer. He has signed on the blank white cover and dated 1981. Slight internal tear; overall fine. Ralph O' Neill, WWI ace, and NYRBA founder and president.Scarce. Antique Autograph book with vivid pics and lots of autographs 1880-1890. Condition is Used. Shipped with USPS First Class Package. 1922 VECCHIO ALBUM MANOSCRITTO AUTOGRAFI DEDICHE DISEGNI ORIGINALI SCRAPBOOK -+. VECCHIO ALBUM CON DISEGNI E AUTOGRAFI. SPLENDIDO ED UNICO QUADERNO/ALBUM MANOSCRITTO, CON DEDICHE E DISEGNI REALIZZATI A MANO NELL'ANNO 1922. IL TOTALE DELLE PAGINE PRESENTI E' DI CIRCA 109. INTERAMENTE IN LINGUA INGLESE. MISURE DA CHIUSO: Cm. 17,0 x 11,0. LE CONDIZIONI SONO QUELLE DELLE FOTO PAGINE DISTACCATE MA PRESENTI E SORSO ALLENTATO. NORMALI SEGNI D'USO QUOTIDIANO DEL PASSATO. CHI MI CONOSCE SA' CHE LE MIE DESCRIZIONI SONO SEMPRE STATE,E SONO MOLTO ACCURATE. NON AMO RICEVERE E NEPPURE FAR TROVARE BRUTTE SORPRESE. WHO KNOWS ME CAN BE AWARE THAT MY DESCRIPTIONS ARE ALWAYS BEING PRECISE,AND I MAKE THEM REALLY CAREFULLY. Age toning, otherwise in fine condition. Thomas Lipton (1850-1931). THIS IS AN ORIGINAL HAND SIGNED AUTOGRAPH. This is our 31. THIS IS A TERRIFIC AUTHENTIC AUTOGRAPHED 8 x 10 photo of MARY COSTA,INSCRIBED TO JEFF. THIS IS A TERRIFIC AUTHENTIC AUTOGRAPHED 8 x 10 photo of BOB NEWHART,INSCRIBED TO JEFF. Photo is hand signed and 100% authentic. THIS IS A TERRIFIC AUTHENTIC AUTOGRAPHED 8 x 10 photo of ED ASNER,INSCRIBED TO JEFF. Émile Sauret (Dun-sur-Auron ,22 maggio 1852 –Londra ,12 febbraio 1920 ) è stato unviolinista ecompositore francese. THIS IS A TERRIFIC AUTHENTIC AUTOGRAPHED 8 x 10 photo of DONNA MILLS,INSCRIBED TO JEFF. Photo is hand signed and 100% authentic. HAMILL, DRIVER & RIDLEY "The Last Jedi" Authentic Signed 8x10 Photo COA. I have over 30 years’ experience collecting and examining autographs. Mowman MacLeod Authenticated gives you the trustworthy service you deserve and a more personable experience within your hobby. Original Carroll Shelby Autographed 1:18 Scale GT350 -100% Authentic Autograph that looks great -Model itself appears in good condition and ready for display -Box itself has some fading -Apparently the box and certificate is for a GT350S, but the model itself is the one shown. Leslie Charteris signed literary contract, granting translation and publishing rights in Portugal for THE SAINT IN LONDON, dated 1965. Good condition. THIS IS A TERRIFIC AUTHENTIC AUTOGRAPHED 8 x 10 photo of JACLYN SMITH,INSCRIBED TO JEFF. AAA . NOT A COPY OR REPRINT! I a m very satisfied. Item as described. Fabulous item! Exactly as described! Very professional. Great Item. Perfect in every way. Herman Darvick is the author of the "Autograph" entry in. episode of PBS'sHistory Detectives as the “handwriting expert”. Delighted with item and service. from The Netherlands, November 11, 2014. From South Korea, June 9, 2016. from South Africa, May 3, 2016. from South Korea, May 3, 2012. from South Africa October 31, 2010. AAA . Item as described. AAAAAAAAA . Good item, well-wrapped, swiftly sent. Here you have a wonderful autographed,HAND SIGNED8x10 photo of NANCY KOVACK, inscribed To Steve. FANTASTIC HAND SIGNED 8x10 PHOTO OF JAMIE FARR AND MIKE FARRELL, BOTH SIGNED TO DAVE. The photo is much nicer in person. Foglietto (Misure: cm. 17.5 x 10) con l'autografo del Soprano spagnola Lucrezia Bori (1887-1960) grandissima interprete di Manon Lescaut. "Sincerely yours, Lucrezia Bori 1932"
VG : very good (molto buono). Immagine al recto della chiesa di San Fermo Maggiore. CONDIZIONI: G (ma lievi macchie al recto). In caso di restituzione con modalità differenti, ICharta sarà esonerata da ogni responsabilità in caso di. 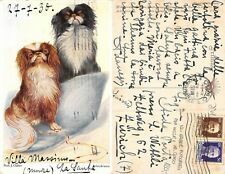 Allen Ginsberg signed/autographed postcard. 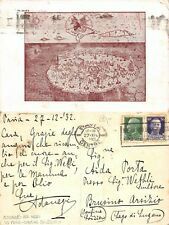 Allen signed and dated the back of the postcard. PSA/DNA certified. Shipped with USPS First Class Package. Feel free to ask questions or make an offer! In caso di restituzione con modalità differenti, ICharta sarà esonerata da ogni responsabilità in caso di. Tutto materiale di provenienza certa, verificata e verificabile. F : fine (ottimo). POOR : in cattive condizioni (piegature, abrasioni, segni d'uso, eventuali fori). In caso di restituzione con modalità differenti, ICharta sarà esonerata da ogni responsabilità in caso di. Tutto materiale di provenienza certa, verificata e verificabile. 20158 Milano. Via Bernardo Davanzati 49. Di Marconi indirizzata allo scienziato Dante De Blasi. Oggetto unico di notevole fascino e valore. Bella dedica autografa di Marconi. GUGLIELMO MARCONI. Marconi fu presidente di questa sezione segreta.